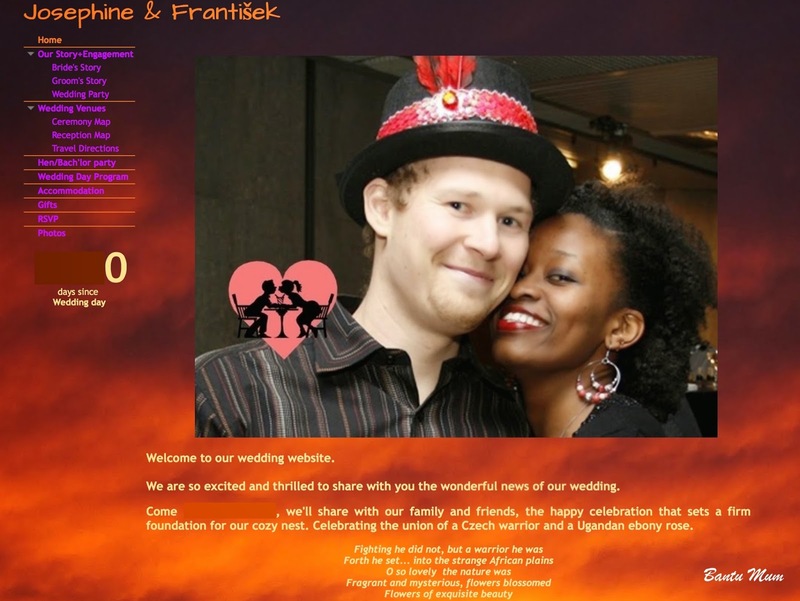 Google sites probably had the best free wedding website resources. Template websites you can design and add to make it a quick and easy task. How simple or detailed you want the site to be is to your own discretion. Our Story had a short version of how we met and the Engagement story. Brides story: A photo of and a bit of history and interesting things about the bride. Groom's story: A photo of and a bit of history and interesting things about the groom. Wedding party: Photos of and a bit of history and interesting things about each of the wedding party. Wedding Venues that gave a brief history of both the ceremony and reception venue (both places have interesting history). Ceremony Map: Embedded google map with location of the church. Reception Map: Embedded google map with location of the chateau. Travel directions by car or public transport to the church and from the church to the Chateau. I also included directions from the airport as we had guests flying in. Hen and bachelor parties: I included this page but never updated it with pictures (yes, we had the parties). Wedding day program which gave a summarised version of the whole day program. Note : The full reception program will be provided at church. Accommodation which let guests know we would help if they needed help with arranging accomodation. You might also want to include a list of affordable hotels and their distances from the wedding venues.
" We are sorry we haven't got a wedding list. Being non shoppers ourselves (one of us anyway), we know what a great pain shopping is. We'd like to save our guest the trouble of having to shop or worrying about it, spending sleepless nights trying to answer the question, 'what am I going to get them?'. To polish that sympathy off, our tinny flat is already bursting at the seams with pot plants, bicycles, a few pots and the soon-to-be legal bed. The gifts, if given would be homeless. What's most important on our day, is that you honor us with your presence...that you come and celebrate with us. If you insist on a gift anyway and you'd like to contribute to our special day, a gift of money would be great. Thank you for being patient with this zebra couple." Photos was intended to have a slide show of photos from the wedding. I never got round to updating it. Whether to register at a shop where guests can go buy items you've preselected is really up to the discretion of couple. I found this particular practice uncomfortable. A gift is a gift. Choose what works for you. Our guests were really creative and I had a feeling they enjoyed putting everything together. We had money chocolate, a money tree, coin pouch, pirate chest...and others. I had a gift table with a DIY decorated box where guests could drop cards. Someone is bound to bring a card. Prepare for this.